The curved head of this disposable mascara wand curls lashes for a more dramatic and voluminous look. 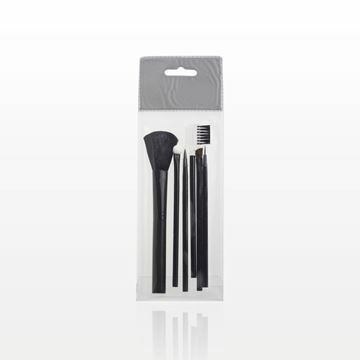 This disposable curved head mascara wand is also great for maintaining a hygienic environment during makeovers. 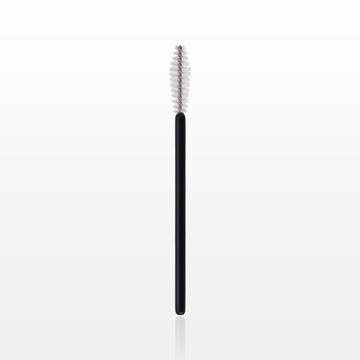 This disposable diamond head mascara wand with clear bristles is perfect for testing formulas in a retail setting or for maintaining proper hygiene during makeovers. 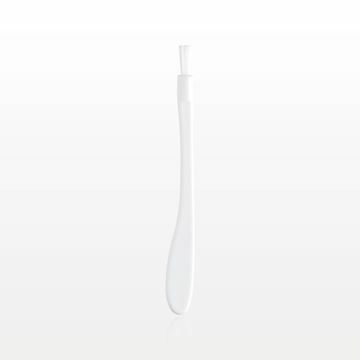 This dual ended white plastic disposable applicator features a nylon lip brush on one side and a spatula on the other. 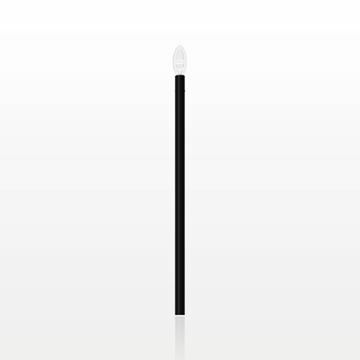 This dual ended disposable applicator features point and round polyurethane foam tips and a black polypropylene handle. Perfect for use in a retail setting to help maintain hygienic testing practices. This dual ended disposable applicator with white polypropylene handle features a round polyurethane foam tip on one side and an oval polyurethane foam tip on the other. Perfect for use in a retail setting to help maintain hygienic testing practices. Create a natural lash look and help maintain a hygienic testing environment in retail settings with this disposable economy medium head mascara wand with black handle. 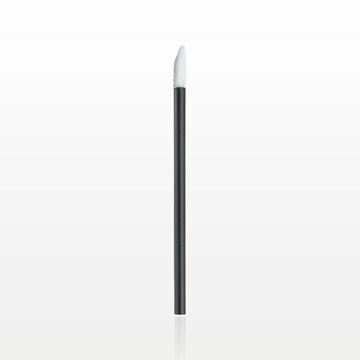 Maintain a hygienic sampling environment with this disposable, fine eyeliner brush. 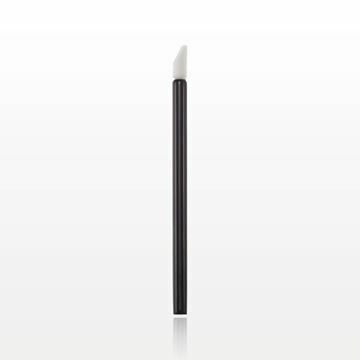 Ideal for creating precise lines with liquid eyeliner. This unique single-use silicone flat tip spatula is perfect for testing lip gloss or lipstick in a retail setting. The flexible spatula tip allows for a smooth and efficient application with little product waste. 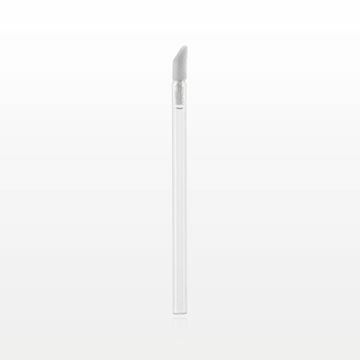 This disposable flocked lip gloss applicator with clear polystyrene handle is perfect for testing lip gloss in a retail setting. Pretty in pink! This single-use flocked tip lip gloss applicator is perfect for testing lip gloss in a retail setting. It may also be used for promotional purposes during Breast Cancer Awareness month. The unique hourglass head of this disposable mascara brush helps apply an even coat of formula all over lashes. Lengthen and curl lashes as you apply mascara with this large full head mascara wand. This pack of 50 disposable mascara wands is great for maintaining a hygienic environment during makeovers, ensuring a clean applicator for each and every client. Now available with a fashionable purple head! Lengthen and curl lashes as you apply mascara with this large full head mascara wand. This disposable applicator is great for maintaining a hygienic environment during makeovers. 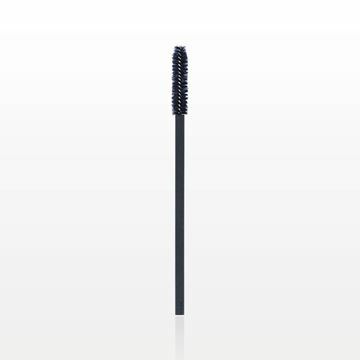 Lengthen and curl lashes as you apply mascara with this large tapered head mascara wand. This disposable applicator is great for maintaining a hygienic environment during makeovers. Also available Part # 80077 (25 Pieces Per Bag). Lengthen and curl lashes as you apply mascara with this large tapered head mascara wand. 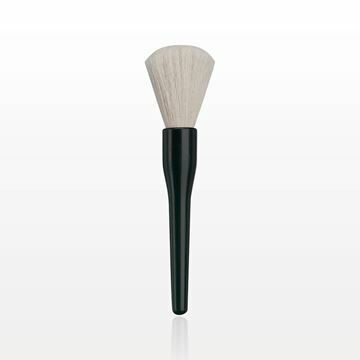 This disposable applicator is great for maintaining a hygienic environment during makeovers. Also available Part # 88003 (1,000 Pieces Per Bag). As a leading supplier of disposable makeup applicators to the beauty industry for over 25 years, Qosmedix understands the importance of providing your clients with single use applicators during makeover sessions and in a retail setting. By using hygienic applicators, you will decrease the risk of cross-contamination and ensure a safe and clean testing environment. We carry a wide assortment of disposable brushes including mascara wands, lip brushes and doe foot lip gloss applicators, eye shadow brushes, blush and powder brushes and eyeliner and brow brushes. All of these items are made from high quality materials but are economical in price.